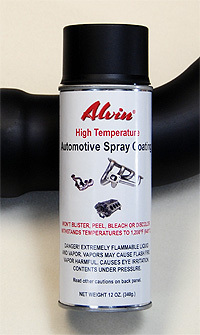 Premium high heat automotive spray paint withstands temperatures up to 1200°F. High heat spray paint is mainly used on exterior surfaces that are exposed to constant heat above 500°. 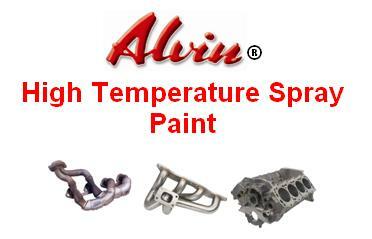 High heat paint is also called high temperature paint or heat resistant paint. 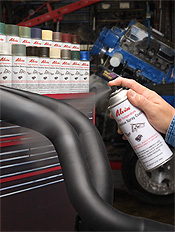 High heat black spray paint, for example, can also be used on barbeque grills, stoves, chimneys, auto exhausts, and boilers. 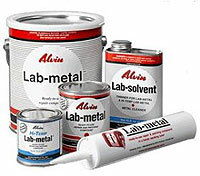 ALVIN PRODUCTS ~ A DIVISION OF DAMPNEY COMPANY, INC.
COPYRIGHT© 2001 - 2011. ALL RIGHTS RESERVED.